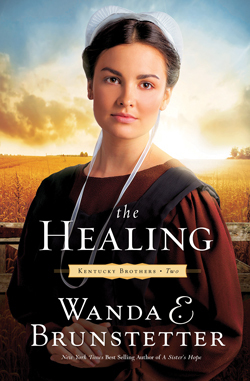 A grieving Lancaster County widower, mired by memories of yesterday, seeks a new start and lease on love in Kentucky, the land of tomorrow. Amish widower Samuel Fisher journeys from Lancaster County to Bluegrass Country, hoping to find a balm for the grief he’s carried with him. Will this single father, burdened by yesterday’s memories, discover a new and perhaps better life in Kentucky, the land of tomorrow? Esther Beiler, who helps watch Samuel’s children, develops a crush on Samuel and a true affection for his kids. Can she win his heart, or has she already lost it to an English woman? How will God untangle star-crossed lovers when jealousies and misconceptions threaten to tear them apart?